Well, AI or artificial intelligence is the branch of science that usually design and develop intelligent machines that totally work and react like humans. It is a brilliant way of impacting aptitude to advanced machines so they can troubleshoot problems themselves even more accurately, efficiently and rapidly than before. A big number of well know companies and organizations are successfully using artificial intelligence in their business operations not only to accomplish their business process efficiently but to boost the productivity as well. There is nothing wrong to say that it is the time to experience big change in performances and process as we are now getting more AI and machine learning-driven apps from mobile app development companies. Now in this digital age we can feel free to say that increasing growth of artificial intelligence is empowering new opportunities and possibilities in mobile app development services. A mobile application developed with artificial intelligence is designed in a way that it can make right decisions itself, resource your finances and most importantly consider advantages or disadvantages for you. Similarly, devices and machines created with artificial intelligence technology have beaten the humans in almost all walks of life. In the same way, increased use of AI in the mobile app development services has enabled the mobile users to entirely refill the existing user-experience with an amazing one. Due to the availability of artificial intelligence in mobile application development, gigantic amount of data is available to the businesses or organizations in terms of customer spending hours, purchasing behavior, user interest and so on that can be used for productive business decision making process. Thorough this way, mobile app technology can understand the customer behavior quickly and provide thorough insights of the customer preferences to the concerned entities for making the business process more efficient accordingly. Predictive reply is one of the plus points for mobile app developers that they can use to make their apps better than ever as it is the communication between user and the device where artificial technology used in the app understands the conversation and responds it accurately without mixing things together. For example, Gmail app (powered by Google) has been designed with a latest feature of Smart Reply that uses artificial neural networks to arrange and send suitable responses to the emails received. 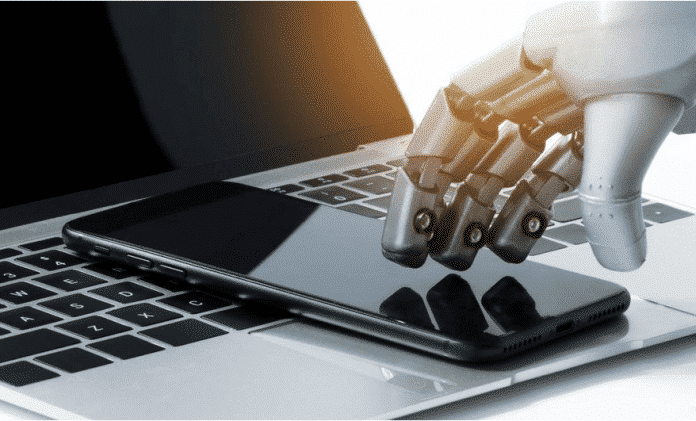 Artificial intelligence and its role in mobile app development is just undeniable as it enables a business or brand to provide personalized user experience to make things easier and efficient. For instance, My Starbucks Barista is a mobile application and the user just have to tell the app what they want and the app would automatically place the order for its user based on the given partialities by its own. Predictive reply is key. Good luck with AI Nogentech!